Started as Lozt Prophetz, but after two years switched to a more conventionally spelled band name; in order to make it a little more exciting the space between lost and prophets was sacrificed. The Pontypridd, Wales group began as nu-metal formation, but then switched over to hard rock. 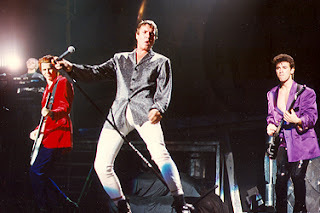 The group name has to do with their admiration for the Birmingham formation Duran Duran; it is the title of a bootleg lp recorded in Milan on 11 december 1988 that contains a Duran Duran concert.